I have a confession and I am sure I am not the only one, but I love Disney, like actually love Disney. A love for Disney is something that never really goes away, if anything it grows. Whenever I think about Disney it takes me back to my childhood and the fond memories of love, magic and fairy tales. Now that I have my own daughter I want the magic to continue. As a child I would love nothing more than have cuddles on the sofa with my parents and sister on Sunday afternoon to watch Disney films, and this is something that I really enjoy doing with my husband and daughter. Even at three years old she knows a thing or two about being a Disney fan as we are making our way through the collection of classics. I think that's what I love about Disney is that it's for all families of all ages, there is something for everyone. My daughter is in complete awe of the Disney princesses, one in particular is by far her favourite. Princess Rapunzel! But seriously who doesn't love Disney though? So you can imagine our excitement when a small delivery of some of the most adorable Disney plush toys arrived on our door. We both could hardly contains the squeals, the giggles and a small little Disney plush dance, apparently that's a thing in our household now. And with these adorable characters Disney have invited us to #BuildYourSquad and we couldn't be happier, they are pretty cute. We were kindly send over Dumbo, Minnie Mouse, Tigger, Winnie The Pooh, Cinderella and Marie from Aristocats. The little lady pretty much called dibs on all her new friends and I was left holding the box, literally! 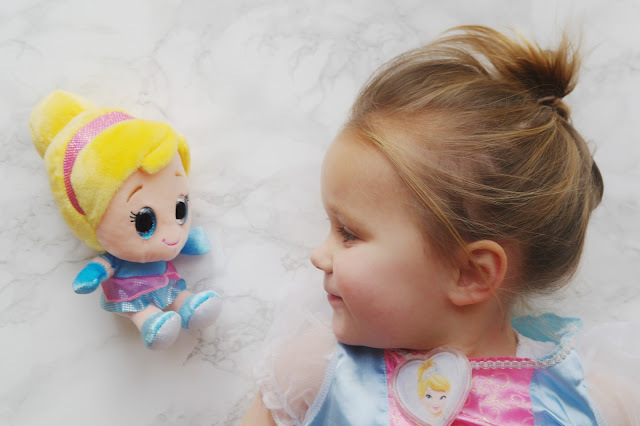 These adorable plush toys are super soft and even have a sparkly look about them. I also like the fact that they have glassy eyes, personally I think it makes them even more adorable. Both my daughter and I cannot wait to add to our collection, I know that a few princesses will be added to the list that's for sure, especially a Rapunzel one. But it would be hard not too, come one they are seriously cute! 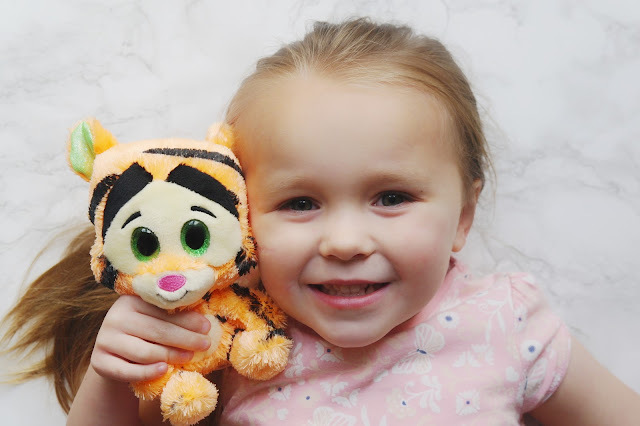 My daughter's favourite out of the bundle we received were Cinderella, Marie from Aristocats, and a character that she has not been too fascinated with, Tigger. Since opening the box, he has been everywhere with us. We have been one lots of adventures in the car, at the park, into town and even on the food shop. And what makes it even more adorable is that my daughter has been showing Tigger to everyone and showing him everything, explaining how everything works (from a toddlers viewpoint anyway) whilst on our adventures. I am sure he will join us for some more adventures soon. 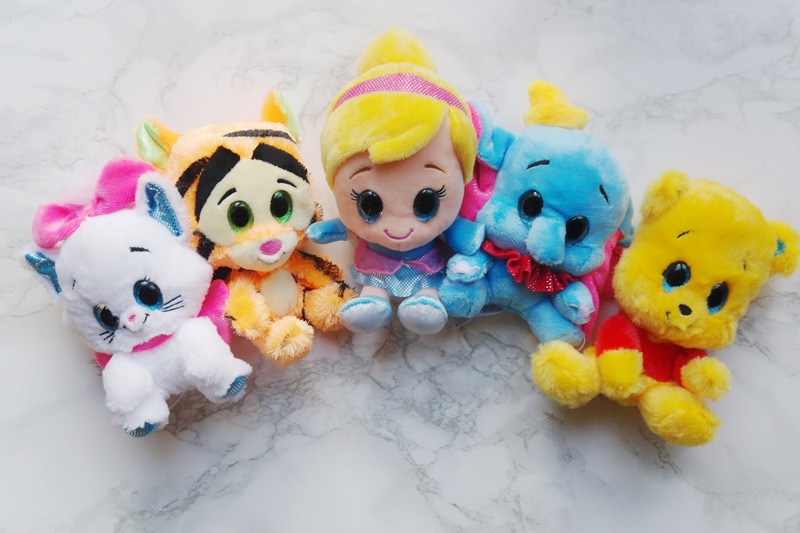 We have loved welcoming these cute Disney plush toys into our home and we will definitely be adding more to help #BuildYourSquad. They are available to buy at Tesco and Morrisons in store, priced at £6.99 each. – and they’ll soon be available online too! Watch out for new members of the squad in July! Their wave 3 collection. Now go, #BuildYourSquad with Disney! Who’s your favourite? 13 comments on "#BuildYourSquad with Disney"
Oh how cute are these! I am also a Disney fan! Oh my these are adorable!! Ahhh how sweet is this entire post?! I’m almost 26 and still love Disney. Even tho I don’t have babies yet I totally imagine buying them all the Disney bits and taking them to Disneyland!! They are so cute! To be honest I don't know much about Disney... a few of these characters I don't know who they are... is that bad?